Swimming pool is a dream plan for a lot of us who want a little happening and cool backyard. However, it needs a lot of planning and guidance. The best time to install a pool can be different for everyone. It actually depends on your schedule and availability. However, if you ask experts about the best time to install a swimming pool, most of them would suggest FALL. Yes, this is offseason for a pool to be installed but that’s the idea. Labour and material cost is expected to come down during this time of the year besides other seasonal benefits. Planning should definitely begin well in advance. This would give you time to build a fine piece which would not only enhance the backyard but also be a reason for you to flaunt. 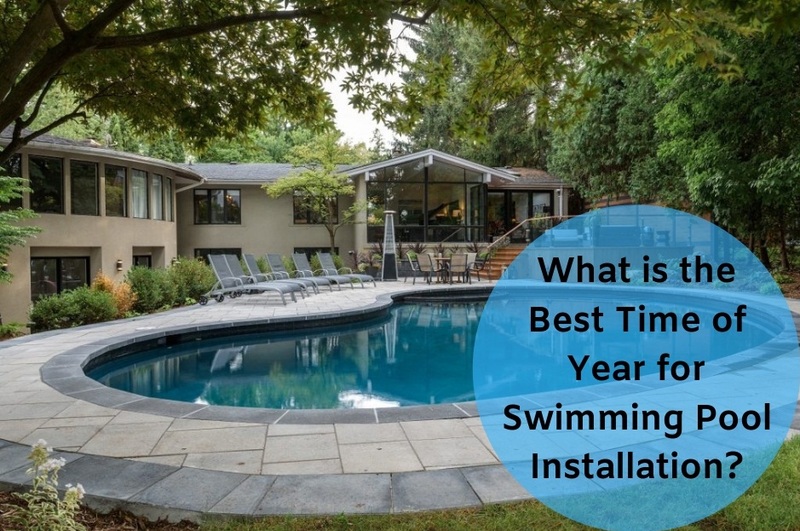 Let is check a few details related with each season to understand which could probably be a better choice for swimming pool installation. Winter could be considered as a planning and installation period for swimming pool installation. However, a few concerns might impede your plan. Spring is the best time to plan a pool in your backyard. As the heat would heat-up, you would already be in the water enjoying the sun. However, some concerns pop up here as well. Experts find this as the best time to install a swimming pool. The reasons being obvious. Various reasons pop up while planning a swimming pool. Season plays an important role in the installation. If you wish to have a pool in the backyard, there shouldn’t be any hush-hush. You should have time to plan and execute the same well. Moreover, the time which you choose should not disturb your schedule and pocket. As a leading pool company in Toronto, we can help you install a swimming pool on your property that meets your needs. If you want a pool installed in your backyard, call us at 416.504.5263 today! All the best and Happy Swimming!